The other day I read an interesting statistic - two thirds of children in primary school today will work in a job that doesn't exist today. I can't find a source to reference, but even if this figure isn't exactly correct it still gave me lots to think about. For example, the other day I was practising spellings with the children. I was always good at spelling, and I make the effort to help my children learn theirs. But when did I last look up how to spell a word? If I make a spelling mistake the spell check will find it and present me with the correct spelling. If I start typing a long word, often auto correct will finish the word before I do. Sometimes if I'm feeling really lazy I'll just type in an approximation of the word, and let my device finish it for me. With the increasing use of voice recognition to control things around us, I don't think we'll need to write anything down anyway in a few years anway. 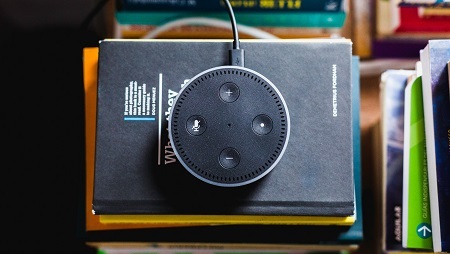 You don't need to write out a shopping list if you can command Alexa to add items to an electronic list accessed by phone from the supermarket. The way that I earn money at the moment isn't something that was even thought of when I was at school. We didn't have the internet at home until I was at sixth form, and it was very much a method for reading and researching, the idea of creating and monetising your own content was far off in the future. I can't even begin to imagine what new jobs might open up in the future. While trying to find a source for the statistic I found a really interesting list - What will our children do? 20 jobs of the future - and there are some fascinating potential jobs in the list, for example Urban Foraging Educators to help people find healthy food when it becomes scarce, and Cryogenics Concierge to offer specialist advice on cryogenic preservation. Many of them are logical leaps based on the way things are going now, but there are bound to be un-imagined advances that will have an impact on the job market. My children will also face new challenges when it comes to studying for their chosen careers. How am I going to persuade them to keep them away from social media when they should be revising? How can I stop them getting addicted to screens and missing out on the real world around them? I know that I need to plan my strategies now while they are still young and malleable, but without any comparable experience from my own teenage years it's difficult to know how to guide them. I suppose the main thing to remember is that we won't find ourselves in 'the future' instantaneously, new jobs will appear gradually and the skills needed for them will evolve rather than being required instantly. And the world is always changing, many many jobs of the past no longer exist and people have adapted accordingly. I still find it a scary thought though!